We are shocked and saddened to learn of the passing of Bob Blake today March 19th. Bob was President-Emeritus of the NFA and a founding member. Bob loved Fireworks, the Fireworks industry and Fireworks people. Mingha — Rest in Peace. NFA 2017 Promo Final from on Vimeo. The mission of the NFA is to work diligently to ensure that the Fireworks Industry is regulated in a fair and sensible manner. We promote Safety within the industry and to the Consumers that use our products. The NFA was established to serve the members no matter whether a company or an individual. 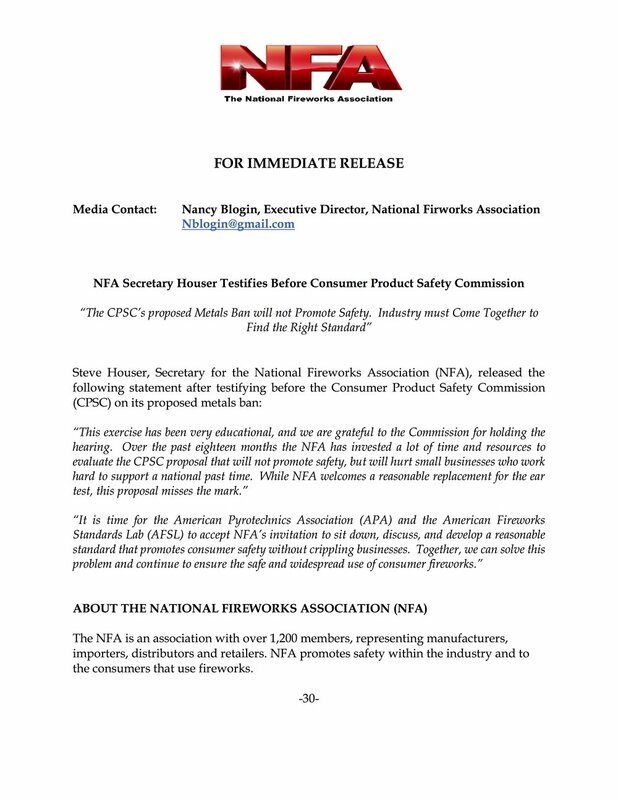 The NFA promotes the Safe Use of Fireworks in all sections of the industry.